In 1992 God gave us a 3 part vision. 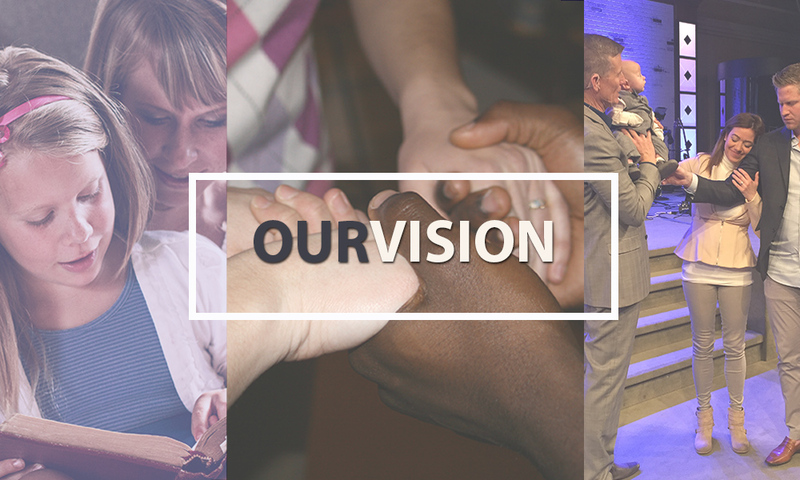 This vision has been the catalyst for all that we have done with New Creation Church. To possess the land that God has given us. With this as our focus, the church has grown as an influence in our community and region. We have planted churches in Colorado and other countries of the world. We have sent missionaries and missions teams to preach the good news with a focus on people being saved and finding their place in the kingdom. We are privileged to be a part of NCC. We have a vision to see people all over the world to be set free by the glory of God and find their place in the body. We truly believe that what God did in Christ Jesus far exceeds any damage done to you by Adam’s fall! Our mission is simple… LOVE, LIFT & REACH PEOPLE. That’s what NCC is all about. We want to reach out to people with the love of God and lift them with the word of God. The church we see is exciting, full of life! When we love, lift and reach out to people we embody the heart of God. We believe that church was never meant to be boring or irrelevant, but a place full of people whose lives are being changed and made better by a relationship with God and each other.